Last year I opened an Asiana Visa Signature Card for a very specific reason: to fly flat bed Business Class to “Latin America 2” (Southern South America) for 35,000 miles. I spent $3,000 on the card to unlock the 30k Asiana mile bonus, earned 3k points for the spending it took to get there, and then spent a final $2k on the card to reach a balance of 35,000 Asiana miles. Then I put the card in the back of a drawer and forgot about it. It costs exactly 35k Asiana miles to fly a Star Alliance carrier to Argentina, Brazil, Chile, Paraguay, or Uruguay. I live in Buenos Aires for a large portion of the year, so I knew the miles would be useful to me. Some Asiana awards have fuel surcharges, but Star Alliance flights to South America have none–so I knew I would only pay taxes on this Asiana award. I’m wrapping up my annual trip to the United States that I take every North American summer/South American winter to visit family/friends, so it was finally time to use those Asiana miles I’d stashed away. The last stop on my North American tour is Puerto Vallarta, where I’ll be meeting some friends over labor day weekend. Luckily I found ideal award space departing Guadalajara, a short hop from coastal Puerto Vallarta, just a couple days after labor day–and I’ve been wanting to check out Guadalajara anyways. I’ll be flying United Business from Guadalajara to Houston, and then United Polaris Business Class overnight from Houston to Buenos Aires, Argentina. I love red eye Business Class flights between North and Southern South America (which many of the direct ones are). You get on the plane after free drinks in the lounge, eat a decent meal, get a good nights sleep, and wake up in a very similar time zone and no jet lag, ready to start your day. Your normal schedule is hardly disturbed. Open a Bank of America Asiana Visa Signature Card. Search for Star Alliance award space to Southern South America on united.com. Call Asiana Flying Club Reservations at (800)-227-4262 to book your award. Bank of America issues an Asiana Visa Signature Card comes with 30,000 Asiana miles after spending $3,000 on the card within three months of opening it. Read the full breakdown of the Asiana Visa Signature here. By meeting the minimum spending requirement you’ll earn at least 33,000 Asiana miles total (30k for the bonus, 3k for 1x spend) or possibly more if you spend within the categories that earn bonuses (3x on Asiana purchases, 2x on gas station and grocery store purchases). 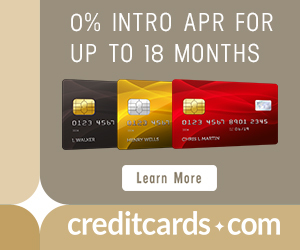 You’ll then need to spend a maximum of $2,000 more on the card to reach a balance of 35k. Alternatively, if you have SPG Starpoints, you could transfer 2k of them to Asiana to reach 35k. I chose to open the Asiana Visa Signature Card and spend an extra $2k on it to reach 35k, and that is what I recommend you do as well. You could transfer a large chunk of SPG Starpoints or open a Starwood Preferred Guest card to earn SPG points, since they transfer 1:1 to Asiana. But if you’re planning this trip to Southern South America ahead of time I wouldn’t go that route. Starpoints are the most valuable transferrable point currency out there as they transfer to TONS of mileage programs, many of which are not easily accessible by American customers. You can easily get the required amount of Asiana miles from Bank of America’s Asiana card. Use your Starpoints for an award when you can’t easily earn the miles any other way. Look for Star Alliance award space to South America on united.com. Asiana defines Latin America 2 as Argentina, Brazil, Chile, Paraguay, or Uruguay. Star Alliance carriers that fly to those countries from the United States include United, Avianca, and Copa. You can fly any combination of those airlines from the US in Business Class for 35,000 Asiana miles and just taxes. Some of the big airports in those countries to consider flying into are SCL in Santiago (Chile), EZE in Buenos Aires (Argentina), MVD in Montevideo (Uruguay), GRU in São Paulo (Brazil), and GIG in Rio de Janiero (Brazil). Don’t do this when you’re in a hurry. Call (800)-227-4262 between 8:30 am and 12:00 pm or 1:30 pm to 5:30 pm Pacific time Monday through Friday. Follow the prompts. There is an annoying amount of recorded info you have to listen to before you eventually input your Asiana Club number (make sure to have this handy), then you will likely be put on hold for at least a few minutes. An Asiana employee will eventually pick up and tell you that you need to be transferred to “reservations”. I asked for a direct phone number to “reservations” since I thought the (800)-227-4262 was the “reservations” number, and they once again gave me the (800)-227-4262 number. I find that highly annoying but there doesn’t seem to be another way around it. You’ll be put on hold again and eventually another agent will pick up that can actually ticket your award. 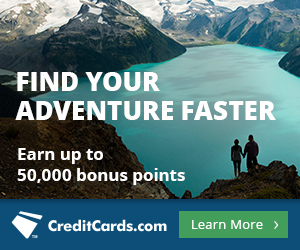 Feed them your desired travel date(s), flight number, and cabin of the award space you found on united.com. I just booked United Polaris Business Class to Buenos Aires for 35,000 Asiana miles and just taxes. You can too by opening one credit card and spending a maximum of $5,000 on it. I’ve flown United BusinessFirst many times to South America, but never Polaris. Polaris is (on paper at least) one of the best Business Class products available to South America. I’m excited to see how United has stepped up its game. Wow, this is great! Asiana card wasn’t even on my radar until just now. I’ve been wondering what the best way would be to get to southern S. America from LAX – this sounds awesome. I hope they don’t change their award chart in the next two years! My fiance and I are going to S. America for our 2nd year as digital nomads. It’s just too bad that the $100 rebate and 10,000 point certificate only applies to Asiana operated flights. It might be useful for traveling to Korea (105000 required for 2 one-way or 1 RT)… if I was willing to transfer SPG points. Do you know if the 10,000/year certificate can be stacked or if it expires after a year??? Alaska award on LAN is 45k in biz, which is probably the next best bet. For anyone interested, there’s a business version of this card available, too. 10K points after your first purchase. Thanks for the tip, I had no clue! 10k miles for a hard credit pull is probably not worth it on its own, but the personal and business would be great cards to open together. Do you know what the mile redemption would be for an economy award ticket to South America 2? Great post. Just what I have been looking for. When searching award seats on United.com, do they have to be Saver? Thanks. Yep, they do. That is always the case if you want to use one kind of miles to book a partner’s award space. What are the taxes and fees for one of these J awards? Nice post, thanks. Would I have to pay a whole lot of taxes flying Lufthansa from Europe to USA ? Great Post !!! EZE is going to be a go to place I think in 10/1/18 or 2/1/19 for me . A lot Less costly (Hawaii,EU,Aus) lots of great looking building .Since ur down ther so much maybe do a post on the areas a newbie would want to go as to easy access ,bus & train , low crime , Value ..